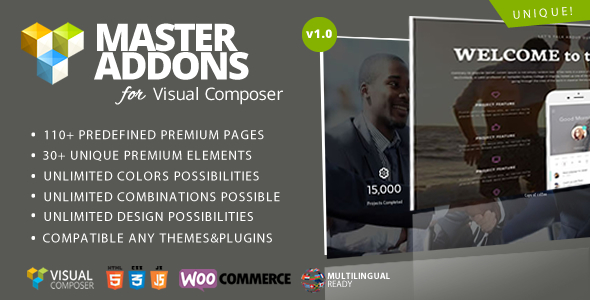 Master Addons for Visual Composer will be increase your business to next level. 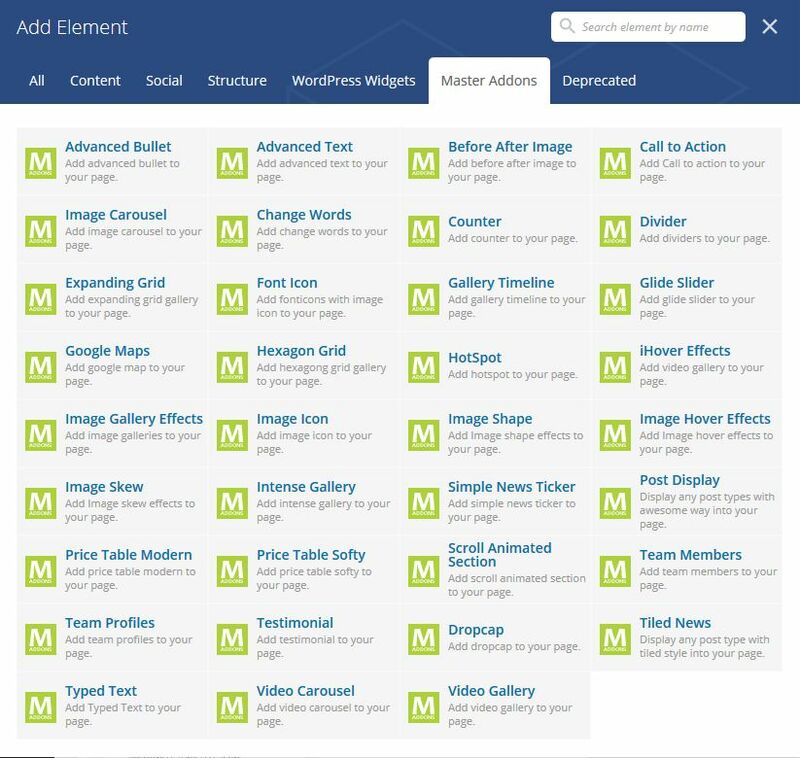 It will comes with 35+ Visual Composer elements + 130+ Predefined Templates. Totally unique, premium & totally infinity usage Visual Composer elements. What Will You Get With Current Version v1.0.6? 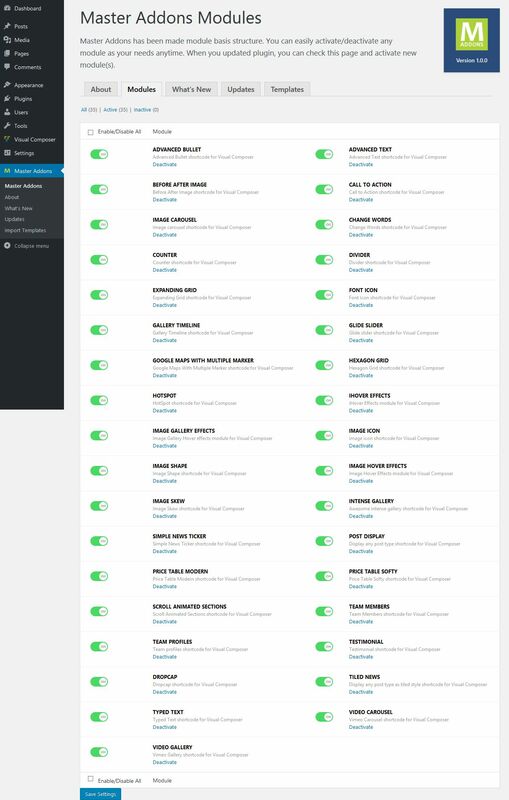 130+ Predefined templates & a lot of presets.